In January 2003, the Federal Reserve Bank announced a new economic development initiative it sponsored to invest in New England’s “creative industries, a creative workforce and community life that is rich in creativity and cultural heritage.” Business, cultural and political leaders from each of New England’s states came together to establish the progressive regional industry association, the Creative Economy Council. Why? They found via a study (published by the equivalent of a New England chamber of commerce) that the creative cluster employs 3.5% of the workforce in New England, more than software and medical technology, that the creative sector is growing faster at 14% than the rest of the economy at 8%, and that the creative sector brings in outside revenues: $6.6 billion in cultural tourism alone. So what about execution? That plan, a Blueprint for Investment in New England’s Creative Economy, was published over a year before the Council was formed. 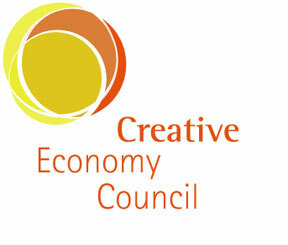 It is now referred to as the Creative Economy Initiative.